If you’ve written a piece of Christian literature, whether it’s a devotional book, a novel, a nonfiction book, or an inspirational book, the next piece in the publishing puzzle is to get it well edited by an expert such as one of these Christian book editors. Then you need to find a publisher. Of course, you could approach smaller Christian publishers accepting unsolicited manuscripts. On the other hand, if you genuinely believe you’ve written a book that has a large potential readership and can go onto become a bestseller, you’ll want to approach larger book publishers. Many of these don’t accept submissions directly from authors, and will require a literary agent to make a submission on your behalf. 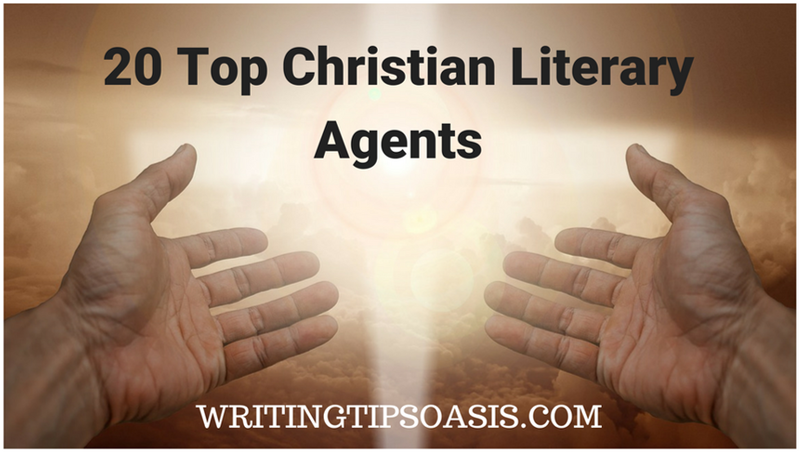 In order to help make your search for an agent easier, we’ve compiled the following list of 20 top Christian literary agents. Founder of The Steve Laube Agency, Steve Laube has been a literary agent representing Christian books. The literary agency was set up in 2004 in Phoenix, Arizona. Steve has worked with a range of genres in fiction and nonfiction like sweet romance and systematic theology. He is also the president of The Christian Writers Institute. The agency has represented several bestselling authors like Rhonda Gibson and Cindy Woodsmall. Go through their submission guidelines if you wish to submit your manuscript for consideration. The Van Diest Literary Agency was established in the year 2014 in Portland, Oregon. Sarah and David Van Diest work to assist authors in getting their Christian books published starting from the proposal all the way to getting a deal with the publisher. The agency mainly deals with nonfiction books that have a fresh perspective about subjects, but occasionally they also take up fiction. So if your work is fictional, you may want to contact them with an inquiry. They recommend going through the proposal guidelines on Michael Hyatt’s site in case you’d like them to represent your manuscript. As an independent Christian book agent, Keith Carroll is dedicated to helping authors spread inspirational messages. He has been a literary agent since 2005, based in Newburg, Pennsylvania. The Prayer of Job by Sandra Querin, The Desperation Zone by Dannie Hood and Lady in Waiting by Jackie Kendall are books he has endorsed. Manuscript evaluation, manuscript refinement, publisher submission and follow up are ways in which Keith can help you become a published author. In order to get a better understanding of whether your manuscript is something Keith would want to represent, contact him via the phone number or email mentioned on the website. With more than twenty five years of experience in the publishing industry, Lisa Jackson is the Executive Vice President at the Alive Literary Agency. Rick Christian is the founder of this agency that represents works of fiction, nonfiction, biography and children’s books. However, at the moment they are not looking to work with unsolicited manuscripts. Only if you have a reference from one of their clients or know one of the agents, should you contact them. In such a case, read the submission guidelines. Alive Literary agency is currently located in Colorado Springs, Colorado, but was started in Los Angeles in 1989. The Long Journey To Jake Palmar by James L. Rubart is one of the books they’ve represented. Jim Hart is interested in representing nonfiction books that are about Christian living, church group, business, leadership, parenting, social issues etc. He is a literary agent working at the Hartline Agency. Caroline Friday, Andrew Minch and Penny Richards are some of his clients. The Hartline Agency was established by Joyce Hart and is headquarter is in Pittsburgh. If you’d like to submit your book for representation to Jim, follow the submission guidelines. Dive Deeper by Jenifer Jernigan and The Teaming Church by Robert C. Crosby are two titles represented by The Blythe Daniel Agency. Blythe Daniel, owner and literary agent, started her agency in 2005. They represent authors of fiction as well as nonfiction books. If you’d like to be considered for book representation, then go through their guidelines for submission. You’ll find the agency in Colorado Springs. The Literary Management Group is a literary agency and publishing consulting firm founded by Bruce R. Barbour in the year 1997. They represent adult nonfiction, especially content that is about Christianity. So if you have a manuscript that is a fiction, children’s book, poetry, memoir or academic in nature, then you should look elsewhere for an agent. You’ll find their office in Nashville, Tennessee. The contact information and submission guidelines are available on their website. Greg Johnson founded WordServe Literary Group, the agency where Nick Harrison works as a literary agent. It was founded in 2003 and has since represented hundreds of books in both the fiction and nonfiction genres. Nick is interested in character-driven historical fiction and select contemporary literary fiction. As for nonfiction books, he is open to considering memoirs, Christian books, books about health or any kind of issue. The agency, located in Colorado, is not looking to sign with books which belong to the categories of fantasy and science fiction. Read more about their guidelines on their website. A couple of titles from their faith collection are Grace Revealed by Fred Sievert, You Can Do This by Tricia Williford and Devotions For The Hungry Heart by Shellie Rushing Tomlinson. Liberty, Texas is where Kirkland Media Management is housed. It is an agency that helps authors with an inspirational message reach out to many people. Jessica Kirkland is the owner of this firm. It was established in the year 2016, before which she worked as a literary agent at The Blythe Daniel Agency. Unbroken Faith by Diane Dokko Kim, When God Says Wait by Elizabeth Laing Thompson and Stolen Jesus by Jami Amerine are some of the books Kirkland Media Management has represented. In the fictional genre, they are willing to consider romance for the Christian book market. And in nonfiction, Christian living is a topic of interest to them. If you’d like to contact them for further discussion, make sure to read their submission guidelines first. Cynthia Ruchti is a literary agent at Books & Such Literary Management. This firm was established in 1996 by Janet Kobobel Grant. Cynthia has worked with the American Christian Fiction Writers as Board President and is the author of 21 fiction and nonfiction books. She joined this agency in 2016 and is now open to representing mainly nonfiction works. But if your book is fictional, you should contact the agency to confirm whether she’d be interested in taking on the manuscript under her wing or not. The agency has certain guidelines for submission that you should carefully read and adhere to. Books & Such Literary Management is located in California. Tricia Goyer, Patti Hill, Jan Kern and Sara Mitchell are some of their award winning authors. The Bindery Agency currently endorses authors of nonfiction, books on religion, biography, literary fiction, Christian spirituality and spiritual growth to name some. It was started by Alexander Field, who is also an agent, in Colorado Springs, Colorado. Since its institution in 2017, the agency has been offering services like literary representation, book development and publishing strategy. If you’d like to get a quote for one of the services, you should fill up the contact form on their website with relevant information about your manuscript. They also have guidelines for submission which would help you through the process. Ruth Samsel’s career includes many years of work in the publishing industry, especially in the Christian market. She works at the William K. Jensen Literary Agency which was founded in 2005 by William Jensen. Although the agency is located in Eugene, Oregon, Ruth herself is based out of Connecticut. The agency is looking to represent Christian books pertaining to Christian living, marriage, devotional, biography, inspirational, cookbooks, social issues etc. The Happiness Dare by Jennifer Dukes Lee, He Speaks in the Silence by Diane Comer and The Play – Along Bible by Bob Hartman are some of the books they’ve represented. Check out the details on their contact page, if you’d like to get in touch with the agency. Spencerhill Associates is a literary agency started in 2001 by Karen Solem. Would-Be Mistletoe Wife by Christine Johnson and Something Like Family by Heather Burch are titles they’ve endorsed. As an Assistant Literary Agent at this firm, Ali Herring takes great interest in a wide range of genres like Christian/inspirational fiction that has a captivating voice and a good plot, southern women’s fiction, romance, young adult or middle grade fantasy, science fiction, adventure and more. She began work at Spencerhill Associates in 2017 and prior to that worked at Talcott Notch Literary. She is based in Atlanta and if you wish to have your book represented by her, follow the instructions on the agency’s website for submission. Ensure that you do not submit your manuscript via their contacts page. Julie Gwinn is a literary agent at The Seymour Agency, which was established by Mary Sue Seymour in 1992. Its main office is located in Canton, New York. Julie is interested in representing Christian books that have to do with romance, inspiration, nonfiction, suspense or women’s fiction to specify a few genres. You can directly contact her by email, once you’ve read the submission guidelines of the agency. These guidelines will help you in ensuring that you have all the required information in place. Kenneth E. Oritz, Brent Manley, Dr. Valentine Dmitriev and Dinah Bucholz are some of their nonfiction authors. Rebel For God by Eddie DeGarmo, The Smart Stepfamily by Ron L. Deal and Becoming the Talbot Sisters by Rachel Linden are some of the books represented by MacGregor Literary, a literary agency started by Chip MacGregor in the year 2006. It is housed in Manzanita, Oregon. They are on the lookout for Christian and literary fiction, memoirs, self-help books, books on spirituality and others. There’s a contact box on their website which you can use to clarify any doubts. Also, make sure that your approach is in keeping with their submission guidelines. Pamela Harty is the Vice President of Sales and a Literary Agent at The Knight Agency. This agency is based in Georgia and was set up by Deidre Knight. Pamela joined the firm in the year 2000 and has worked on numerous titles in different categories like southern history, Christian living, parenting, romance, motivation etc. Bone Driven by Hailey Edwards and Amish Rescue by Debbie Giusti are a couple of their represented titles. If you feel that they are an agency apt to represent your book, then follow their protocol as specified on the submission guidelines page and proceed to contact them. Founded in 2011 by Christopher Ferebee, The Christopher Ferebee Agency is a small literary representation firm located in Corona, California. Christopher has more than a decade of experience as a literary agent. He has represented many Christian authors and is now looking for books that are thought provoking. Other than authors of children’s books, poetry compilation and academic works, all authors of fiction and nonfiction books are welcome to contact the agency to discuss the matter of book representation. So go through their submission instructions and gather all the data needed. Dave Fessenden set up his independent editing and publishing consultant firm in 2003 in Harrisburg, Pennsylvania. He also works as a literary agent at WordWise Media Services, where he seeks to represent books for the Christian market. Some topics he is interested in are science fiction, theology, historical fiction, social or cultural issues, fantasy and Bible studies. After going through his website, if you feel that you would like to submit your manuscript, then you can contact Dave by email or phone, details of which are mentioned on the site. You can build your book proposal using the template he has provided. WordWise Media Services is the brainchild of Steven Hutson, who himself is a literary agent. As an agency that was started in 2005, it is housed in Lancaster, California. It is at this firm that Michelle S. Lazurek works as a book agent. She has nine books to her name and is a graduate of Liberty University with a Masters in Counselling and Human Relations. Living in Pennsylvania, Michelle is interested in representing authors of Christian nonfiction for adults and children’s picture books. Sarah Geringer, Lydia Rueger, John Alexander and Anne C. Bromley are some of Michelle’s clients. For authors looking to submit their manuscript to this agency, there’s detailed information on their submission guidelines page. Tamela not only has previous experience working as a literary agent at Hartline Agency, she is also affiliated with The Christian Authors Network and the American Christian Fiction Writers. At present, she is a book agent at The Steve Laube Agency, which was established in 2004 in Arizona. Tamela is based in Manassas, Virginia and specializes in the Christian book market. She has been representing books in genres of fiction and nonfiction since 2011 at this agency. Areas of particular interest to her are Christian romance novels, women’s fiction and romantic historical fiction. If you wish to contact her then do so by email once you’ve read the submission guidelines from the agency. Do you know of any other Christian literary agents accepting new authors? Please tell us more in the comments box below! This is an excellent list! Thank you for putting it together. Great list (and a bit eye-opening). Cyle Young with Hartline. Very pro-active. Far from a one-man-show. He has successfully built -and maintains -a strong team of support with business partners like Bethany Jett to help promote authors, both published and not-yet. Love that my agent, Blythe Daniel is #6. She is awesome and brings industry wisdom and insight to all her clients.. Appreciate you putting this list together! I need a literary agent in TN preferably.. maybe Nashville??.. I’m not a writer, however, have this script which might be the beginning of a screenplay. It’s about Samir Ibrahim Salman. When you google it will look like a very bad thing happened to Samir in Bethlehem, however, this is inspirational with a lot of humor. Samir was Palestinian Christian. That is my audience. For further information, please advise. Thank you for this list! It’s been so helpful! I’d love to see more if you have any more.